Out now on Amazon, Underrated Rock Book: The 200 Most Overlooked Albums 1970-2015 Sep 15, 2018 by Jim Santora Jr. Get your copy now at Amazon by clicking the book cover! Due to life circumstances, Rogue-Rock-Radio will be shutting down temporarily. I'm unsure of how long it will be before we are back up and running, but rest asured that we WILL BE BACK ASAP. The shutdown will commence on March 21st and will remain shutdown until further notice. Check back on this website for any updates. Congrats to the Rock & Roll Hall of Fame Inductees! This months featured artist on Rogue-Rock-Radio is Lords and Liars. Click on their logo to go to the featured artist page. Below are the Rogue-Rock-Radio song request lines. The request line on your left is for "LIVE SHOWS ONLY". 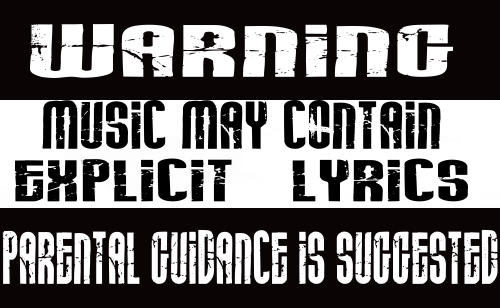 are NOT available for immediate playback due to DMCA (Digital Millennium Copyright Act) Rules.